Author: Gregory L. Fricchione, MD, et al. Please note: If you need quick hours, this isn't the course to select. This book must be studied. It is full of wonderfully practical information that will benefit you and your patients, but it's going to take effort and time. The course pilot studied at 18 hours and it will take every minute of that to get the full benefit of this information. The physicians who wrote The Science of Stress: Living Under Pressure remind us that stress can be really, really bad for our health. Persistent stress is directly linked to chronic ailments like heart disease, diabetes, and depression. 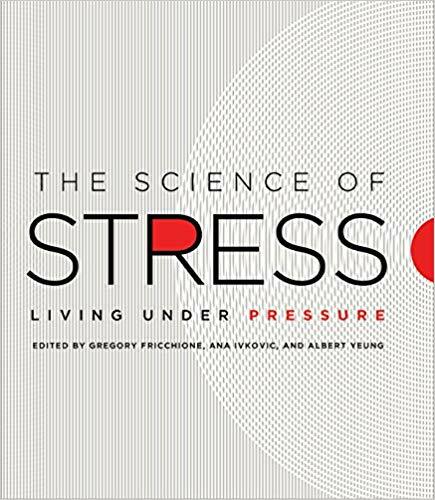 Guiding readers through the latest research in the science of stress, they offer an illuminating and therapeutic look at our own worst enemy. The authors explore the latest in modern neuroscience and immunology, the drivers of stress, and how they reduce the body’s metabolic reserve, making us more vulnerable to illness. They then look at the antidote: enhanced resilience, something we can achieve by adjusting how we face the significant adversities that can spring up in so many facets of our lives. Some of the topics you'll read about are chronic inflammation, oxidative stress, metabolic syndrome, sleep deprivation, telomeres, social support, the microbiome, exercise, and resilience.